Since I made these during weekend late evening, the picture didn't do real justices to these yummy tikkis. 1. Wash and soak sago overnight or for 4-5 hours ( the water should just cover the sago). 2. 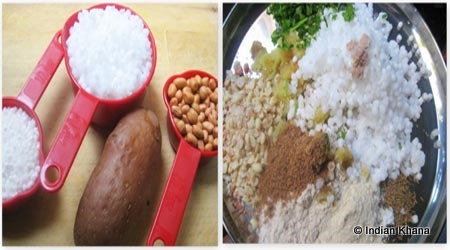 Drain the water and squeeze sago to remove excess water, peel n mash the potato. Add all the ingredients with sago except oil. 3. Mix well everything and divide in equal portions and make firm tikkis, smooth the edges. If required grease hands with oil to make proper tikkis. 4. Heat oil in a pan and shallow fry tikkis until golden brown both sides on medium flame (you can also deep fried the vada). Remove in kitchen towel and serve with any chutney or sauce. I served with green chutney, shall post the chutney recipe some time. 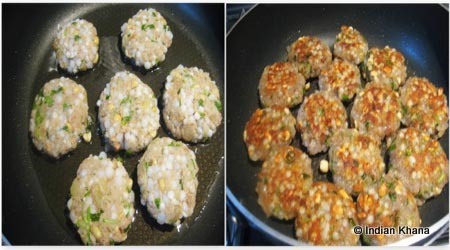 Sabudana patties looks crispy and delicous..love to have them for my evening snack.. Loved your idea of shallow frying...Liked these low fat vadas. I like that you shallow fried these. They look amazing. Your chutney look so good too! Can't wait to check out that recipe. Loved ur version, better than fried version. 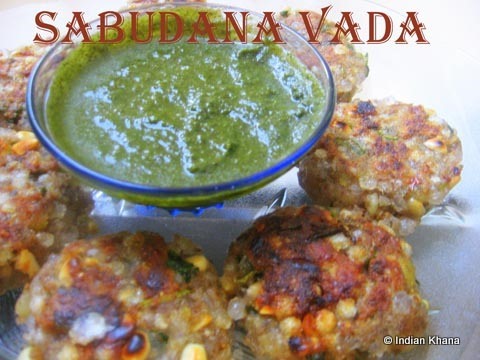 Sabudana vada looks delicious and perfect. 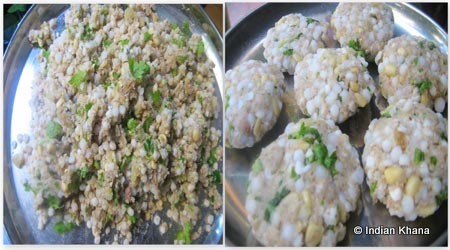 Feel like having some sabudana vadas, they looks super prefect and inviting.. BELIEVE IT OR NOT, AM SUCH A FAN FOR THIS VADA, UR'S LOOK VERY CRISPY AND PERFECTLY MADE. I have tasted once and liked it. It really tempt me these vadas! So crispy and very tempting !!! they look so perfect and so delicious..spicy and yumm..
you shallow fried them? interesting. Will try it next time. Thanks! @Shena ..thanks a lot for sharing the award with me. Looks so tasty and inviting..Like the idea of pan fried. 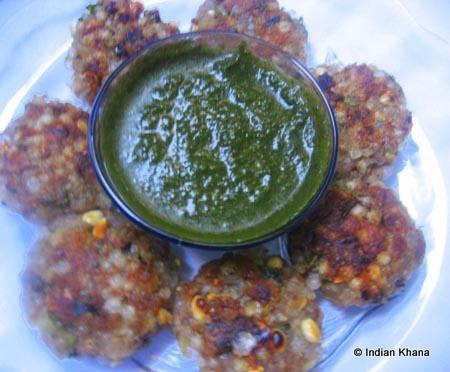 Sabudana vada looks so crispy and tempting.I love it! The first time tried it was failure, after which i never dared to try...urs look good! Wat a delicious n crispy vada..thanx dear for sharing..
Lovely, delicious great. Must make some soon. @Ila ..thanks dear ...glad that you liked it. 1. While grinding the urad dal make sure you don't add water or only little water. 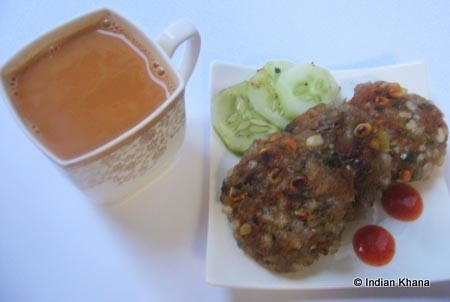 As having excess water in the batter cause vadas to drink more oil then required. 2. Grind the dal to proper consistency....batter will be fluffy if grind properly. 3. If am making vadas in large batch then I add salt in batter in small batches say if am frying 5-6 vadas at a time then I add salt only to that amount of batter and fry it ..this way we can prevent the salt from oozing water and making the batter watery. 4. Oil temperature also plays a role, make sure the oil is heated at right temp, test by dropping a small amount of batter and if it's floats on oil within few seconds then the temp is right, the batter/vada should not sink on bottom of kadai/pan. 5. If the batter is little watery add 1-2 tbsp of rice flour, mix well and made vada this helps it from soaking oil. @Now Serving ....hmm ohkie for sabudana vada, it's again the amount of potato is used and there should be no water in potato nor any other ingredients. Oil temperature again plays a role ....as said before once the vada dropped in oil within seconds it has to float and cook in medium flame. Well dear I never really had this problem ..if I have come to know anything in future will update you. 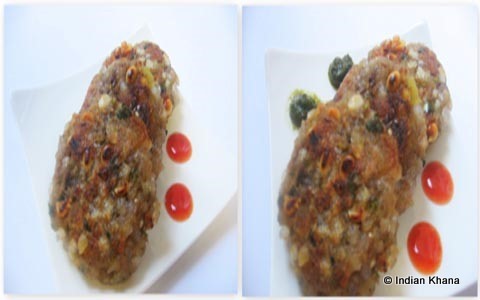 crispy and yummy looking vada...nice recipe..love to have a few right now.